For their first show of 2018, the brains behind I Love My Brick have cooked up a bold and beautiful looking line-up down at Little Buildings on Thursday 26th April. 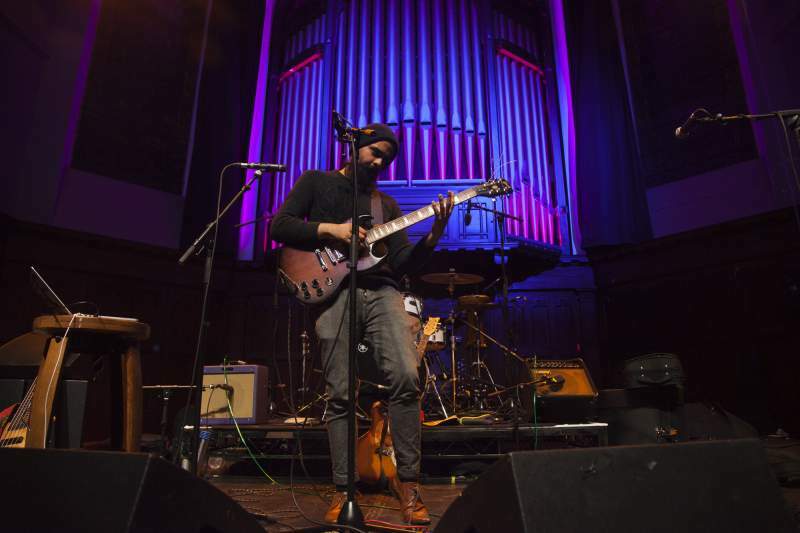 Headlining is the Glasgow-based multi-instrumentalist and songwriter Kapil Seshasayee, making a swift Tyneside return following his last Newcastle headline show last November at The Cumberland Arms. Drawing on a wide variety of sources, The Quietus have described his work as sitting “somewhere between math rock, drum-machine driven punk, and experimental pop.” With a new single from his forthcoming album about the Indian caste system due out ahead of his April tour dates, it’ll be another fine chance to catch this magnetic and intelligent performer. Performing alongside him is Jennifer Walton, whose heavy and immersive electronic productions have made her a name to watch: drawing on everything from sweet R&B melodies to chaotic breakcore and gabba, a Jennifer Walton set is like nothing else out there. Completing the bill is Faithful Johannes, better known as one half of Outside Your House but now also developing a solo sideline for the everyday strangeness of his work. Always a hugely warm and enjoyable live performer, it’ll be exciting to catch him in this new format.